Americans fought for Ireland beneath the Fenian banner—and secured citizenship rights for themselves and other immigrants at home. Courtesy of the Library of Congress. On October 30, 1867, John Warren, a grocer and newspaper man from Charlestown, Massachusetts, entered the dock at Green Street Courthouse in Dublin, Ireland, to stand trial for treason. The Irish attorney general rose to accuse Warren of leading a wicked international conspiracy to overthrow Queen Victoria’s rule in Ireland. Warren, described by journalists as “squat” and with thinning auburn hair, didn’t look the part of a dangerous revolutionary. But as a member of the Fenian Brotherhood, a transatlantic organization with branches in the U.S. and Ireland, Warren had led a gun-running expedition in the spring of 1867 to free his native land from Britain’s grasp. The mission failed miserably. Yet Warren’s exploits helped to drive the United States and Britain to the brink of war, and ultimately sparked a very different type of revolution in America: a dramatic reversal in the law of citizenship. Warren was one of perhaps 250,000 Irish-Americans who joined the Fenian Brotherhood, organized in 1858 to “perpetuate our undying hatred of English oppression” and to help establish an independent Irish republic. Many Fenians had fled Ireland during the Great Famine (1845-1851), carrying with them a bitter resentment at being forced from their homeland. They embraced their new homeland, the “Great Western Republic,” with zeal. Irish immigrants became naturalized American citizens at a rapid rate, renouncing their allegiance to Queen Victoria with glee. Many—perhaps 180,000—delivered on their oath to defend the United States with military service during the American Civil War. Some marched to war carrying both the “starry” American flag and the green flag of the future Irish republic. As the bloody Civil War wound to an end, Fenians trained their sights on the next battle—the war against England to free their beloved Ireland. Fenians divided bitterly over tactics. One wing mounted an armed invasion of British Canada in the summer of 1866, hoping to push U.S.-British diplomatic ties, already sorely tested by perceived British sympathy for the Confederates, to the breaking point. If war ensued, Ireland could become free. The other wing fastened on spurring rebellion in Ireland by sending war-hardened men and arms to lead the revolt. American Fenians began traveling in small groups to Ireland in 1865 and 1866, packing pistols and gold. 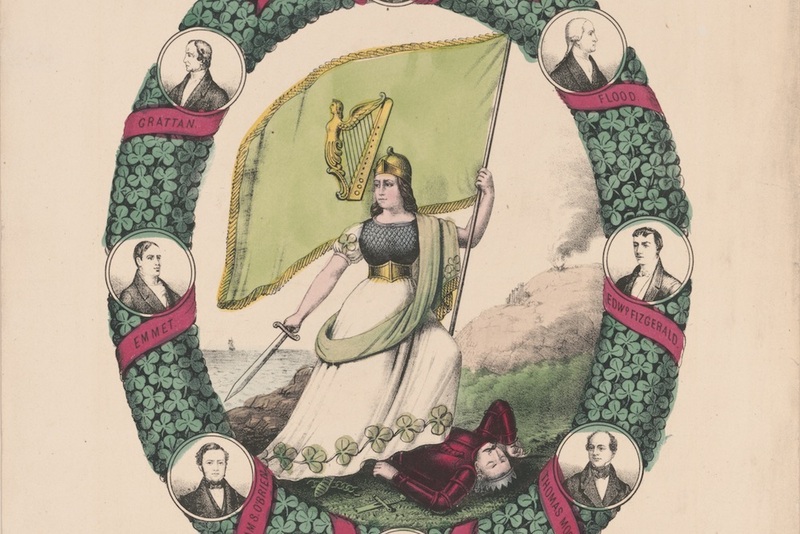 On March 5, 1867, the long-awaited Fenian Rising erupted in Ireland. Fenians launched a coordinated attack throughout Ireland on police stations, military facilities, and transportation and communication networks. Irish-Americans were thrilled to learn the news of the establishment of an Irish Provisional Government. And John Warren began the journey that would end with his trial for treason in Dublin. Warren was one of the co-commanders aboard Erin’s Hope, a sorry-looking brigantine the Fenians had pressed into service to send help to the rebels in Ireland. Erin’s Hope carried 40 bold Fenian men and over 5,000 rifles and revolvers, three pieces of artillery, and 1.5 million rounds of ammunition, all packed in sewing machine cases, wine casks, and piano boxes to fool the casual observer. The men left the U.S. in high spirits in April 1867, but their mission soon ran aground. By the time they reached the west coast of Ireland, the Rising had already been crushed. Desperately low on food and water, the men grew mutinous, and Warren and the other leaders made a fateful decision: to land 30 men on the southern coast to find supplies and, hopefully, pockets of resistance. Instead, they were quickly scooped up by vigilant Irish coast guard officers, imprisoned at Kilmainham Gaol in Dublin, and charged with treason. (Fenians arrested in Canada would be treated similarly). Seemingly cornered, the Irish-American prisoners turned their arrests and trials into an international spectacle, noisily demanding that they be treated as American citizens and be afforded diplomatic protection by the U.S. Consulate abroad. British officials breezily dismissed their claims with the quip, “Once a subject, always a subject.” Only death could release Irish-born Americans from the Queen’s allegiance. The right of expatriation is now largely a forgotten, or invisible, right. 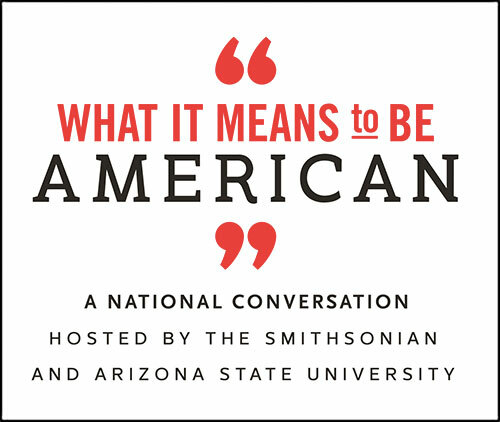 Between 2010 and 2017, over 5.6 million people swore their allegiance to the United States in naturalization ceremonies, and few probably knew they were exercising the right of expatriation. But throughout the 19th century, Americans often thought about expatriation—even going to war to defend this right. The War of 1812 resulted in part from the British navy’s seizure of American sailors from American ships, pressing them into the King’s military service under the theory of perpetual allegiance. Fighting ensued when the U.S. government insisted that naturalized sailors were American citizens, beyond the reach of the British government. The question of expatriation simmered after that war, as migrants began to pour out of Europe. Between 1840-1860, more than 4.5 million immigrants—70 percent from Ireland and Germany—headed to the United States. Many left unlawfully. Today, governments guard their gates to keep immigrants out, but in the early 19th century, leaving one’s country was often the greatest hurdle. Germans often had to show they had paid all debts and church tithes and had completed their obligatory military service before being allowed to pay a hefty fee for an exit permit. Many chose, instead, to slip away as undocumented emigrants, subject to heavy fines, imprisonment, or stints in the military should they return to their native country, even if under the cloak of American citizenship. The British government was happy to let the Irish go, especially during the Great Famine. But, when it suited its purposes, Britain joined other European governments in insisting that natives could not change their allegiance as they would an old coat. So, when American Fenians wrote angry letters to the American consulate, “choking with rage” that the U.S. would “allow the [British] to treat them as British subjects,” they stepped into an international controversy that had been brewing for decades. John Warren knew precisely what he was doing when he portrayed his trial for treason as a trial against the British. As a savvy journalist, Warren knew the power of words and used his speeches before the court and his letters home—widely published in newspapers and reprinted in the Congressional Record—to hammer home his message: “My case is your case,” he lectured his fellow Americans. What was at stake, he argued, was American honor and power in the world. Was the United States going to let the British say who was, or was not, an American citizen? Charles Francis Adams, the U.S. Minister to Great Britain, fumed over Warren’s provocative stance. Adams had worked tirelessly to keep the United States and Britain at peace during the Civil War. Now Warren aimed to blow up his mission by dredging up the right of expatriation, one of the “gravest difficulties” in relations between the two countries. Warren’s case inflamed a growing debate over the status of the foreign born at home in the U.S. That issue caught fire after the British released William Nagel, a U.S.-born citizen from New York. Though Nagel had shared command of Erin’s Hope, he was freed from prison and sailed home while Warren, a naturalized American, began a 15-year sentence of hard labor. The different treatment of birthright and naturalized American citizens by the British underscored the sense among the foreign born that they remained second-class American citizens. Political cartoons depicted Irish as apes, and “nativists” raised the alarm that the growing number of Catholic immigrants from Ireland and Germany posed a threat to Protestant America. By December 1867, expatriation had become the issue of the hour, both at home and abroad. Within weeks of Warren’s conviction, the Boston Pilot reported “immense and enthusiastic” meetings and rallies being held through the nation, drawing not only Irish-Americans but also Poles, Germans, Austrians, and others who had made America their home. “Politicians who are shaky on the subject, if they value their places and popularity, had better act promptly,” warned the newspaper. What was at stake, Warren argued, was American honor and power in the world. Was the United States going to let the British say who was, or was not, an American citizen? Congress received the message. On July 27, 1868—the day before the Fourteenth Amendment guaranteeing birthright citizenship was ratified—Congress passed the Expatriation Act of 1868. The law declared that the “right of expatriation is a natural and inherent right of all people” and committed the government to extend to naturalized citizens the same protections offered to native-born citizens when they ran into trouble abroad. Between 1868 and 1872, the U.S. negotiated “naturalization” treaties with a dozen countries, most importantly with several German states and Great Britain, home to the bulk of immigrants coming to the U.S. Great Britain finally gave up its “ancient” doctrine of perpetual allegiance and joined several other European countries in recognizing the right of its natives to leave and become citizens elsewhere. Warren and the other prisoners would return to the U.S. by 1869. Celebrated at the time as “one of the greatest and most important triumphs of American democracy,” the right of expatriation was truly bold and revolutionary. Defined broadly, the right of expatriation championed the individual’s right to migrate as a fundamental human right. The United Nations enshrined the right of expatriation in its Universal Declaration of Human Rights of 1948, proclaiming the “right to leave any country” and the right to change one’s nationality. But the need to reassert the right of expatriation, 80 years after the triumph of expatriation in 1868, spoke to the ongoing obstacles that individuals encountered—and still encounter—in choosing their political homes. Less than 20 years after the Fenian crisis, the United States passed the Chinese Exclusion Act of 1882, the first major brick in America’s legislative wall to restrict immigration. Today, as countries turn inward once again, ferociously debating new barriers to immigration, the right of expatriation remains more of an ideal than an accomplished fact. Lucy E. Salyer is a historian at the University of New Hampshire and the author of Under the Starry Flag: How a Band of Irish Americans Joined the Fenian Revolt and Sparked a Crisis over Citizenship.